Find a better price? We will match or beat it. Protect your vehicles paint finish with our computer cut 3M Scotchgard Pro, 3M VentureShield, and Suntek paint protection films. 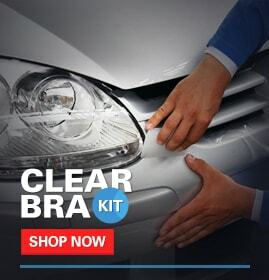 Our clear bra kits are precisely pre-cut to fit the contours of your car and will protect your vehicle from bugs, dirt, scratches, nicks, road salt, sand and road debris and will cause no damage to your OEM paint if removed years later. Our high quality paint protection films are 8mils thick and have a clear or top coat to resist scratching and retain a beautiful shine. 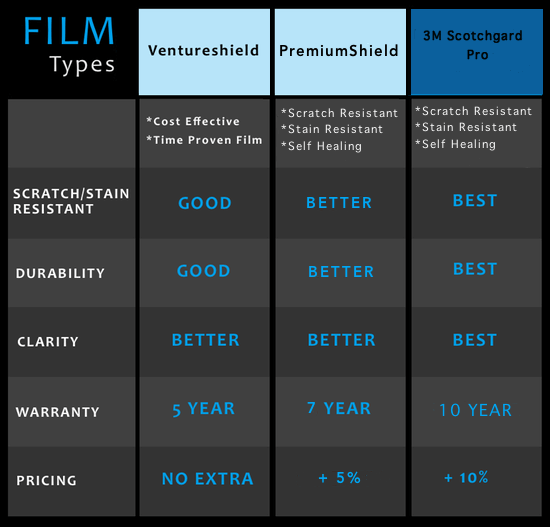 Our three films are the "best of the best" and there is no other film that offers world class protection for your vehicle. Install yourself and save! Using our years of experience we believe we've developed a product that the average person can install. By combining our clear films with our pre-cut patterns you've found the best choice in paint protection! Our clear bra kits are designed to be "user-friendly". Combine our designs, superior films, professional tools and How-To video, we provide everything you need for a perfect installation. Great instructions and complete professional tool kit. Your film is so clear I can hardly tell where it begins and ends. I purchased a cheaper clear bra product from one of your competitors and it ended up in the trash. Very poor fit! I purchased your product and applied it myself. Excellent product guys!!! This is one of the best investments I've made all year. Invisiblemask took out the guesswork for the consumer. I do a lot of driving and my last car got pretty beat up. I just bought a new car and immediately applied your product. I have no worries now and really love this product! 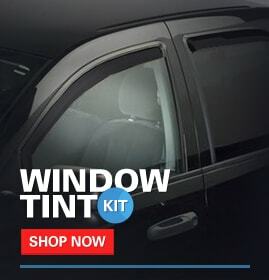 Spend $75 or more on our paint protection kits and you will receive free shipping on your order. We ship USPS priority mail which is normally 2-3 days in transit! Canada customers , we give you about $15 off shipping! So you found the product cheaper somewhere else? We will match it! Plus you still get our free special (tools, video, etc). Just look for our price match link next to the Add to Cart button and enter in the information that is required. Note, it must be a similar quality and size product. 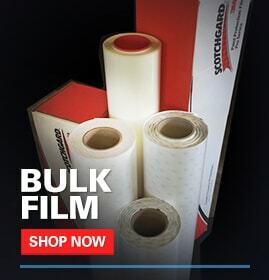 Typically, we won't match no-name brand film that is actually bad for your car! 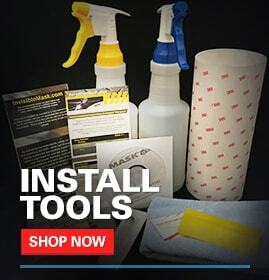 Spend $75 or more on paint protection kits and we will give you free shipping, our installation kit, door edge guards for 2 doors, and our how-to video. If available for your model we also include door handle cup pieces. This is an $80 value! For our Canadian friends we offer a discounted shipping rate of $20 and include the rest of the freebies above.